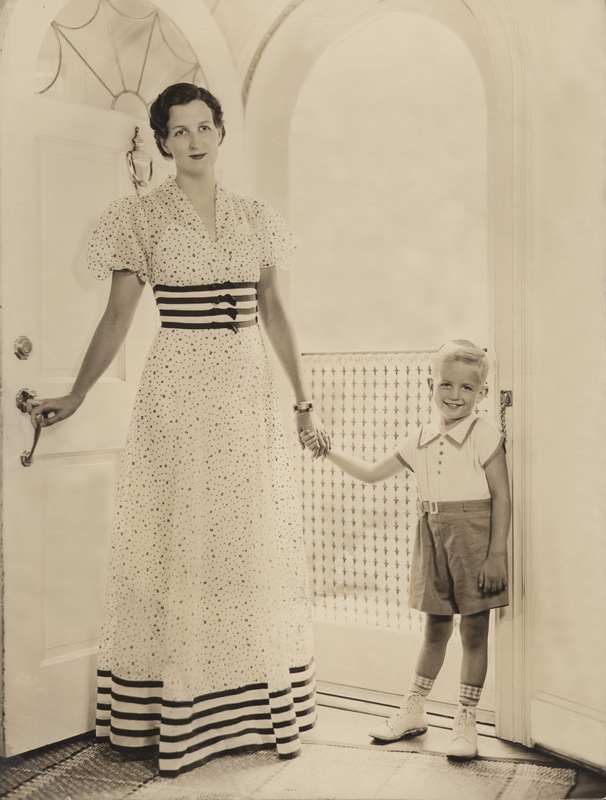 My Mom and me in 1936. October 19th is my Mother's birthday. She was born in 1907 and would have been 106. She was truly an amazing woman. Her father passed away in 1919 from the flu epidemic following the First World War. Her older brother had suffered from polio when very young and wore a large brace on his leg and was not able to work. Their family was of very limited means so my Grandmother needed to go to work. She became the surrogate mother for children who came to the primary children's hospital in Salt Lake City for treatment. She cared for them during their hospital stay as their own mother would have. So my Mother did the grocery shopping and prepared the meals at the age of 11. Mom graduated with honors from the University of Utah when she was 19 and married my Father the day after graduation. That day they left for Washington in a Model T Ford. It took them 11 days. When they arrived in D.C., they went to work in the A&W, nine-stool root beer stand. When the weather got cold, they knew that people would stop drinking A&W Root Beer, so they decided to put food on the menu but the A&W franchise owners said, "No, we're not in the restaurant business." So my Dad went to A&W headquarters in California and meanwhile Mom developed a contingency plan. She discovered another popular root beer which would allow them to sell food. It was the early days of carbonated drinks and the carbonation was added to the syrup just before the drink was served. It was handled by a rather complex machine. My Mom drew a design of the machine and talked to various manufacturers who said they could duplicate it at a far better price. I think when Dad told A&W he had a viable contingency plan and was willing to give up his A&W franchise; they gave up on their end and allowed him to sell food. Thus, he established the Hot Shoppe restaurants, which were the foundation of our company for the first 30 years of its existence. My Mom was 20 years old when she developed the back-up plan which helped save the business. In the summer of 1927, my Father had two root beer stands in D.C., one on 9th Street and the other on 14th Street. My Mother ran the 14th Street root beer stand and when she closed the shop at 11:00 p.m., she would take the sticky nickels from the store and deposit them in the bank. She would wait in front of the bank, at midnight, for Dad to pick her up on the way home from the 9th Street root beer stand which he was running. One night, he arrived home and Mother wasn't there. He was so tired he forgot to pick her up. I'm not sure she ever forgave him. It was a frequent tale around our house when I was growing up. When they embarked on their effort to add food to the root beer stand, they decided to sell hot dogs, hamburgers and Mexican food. Mom went to see the chef at the Mexican embassy and he showed her how to make chili and hot tamales. So, she became our first cook. She prepared the food in her apartment and delivered it to the restaurant. Throughout the years, Mom stayed very involved in the company. She was very involved in our interior design especially. When we were designing our third hotel in Dallas, Mom and I went to Los Angeles and met with the interior designers for a whole week. She really drove the entire process. She was a major force behind every major decision and event in the company through the years. She was an active member of our board for over 60 years. She had a strong sense of value and a lot of determination but most people never saw it because of her quiet, thoughtful nature. Mother devoted her time to a number of civic, charitable and cultural endeavors as well as political activity. She was an active Republican and served as the National Committee woman for D.C. for many years. She was the treasurer of two Republican National Conventions. She was a trustee of the Kennedy Center for the Performing Arts in Washington and served on the boards of the Arthritis Foundation, the National Symphony Orchestra, the National Ballet Society, Goodwill Industries and many others. In particular, she was a true caregiver to my Dad who suffered severe coronary artery disease the last 15 years of his life. But, to me, she was my Mom. When I was struggling with arithmetic in the second grade, she bought a small black board and coached me through addition and subtraction and began on the multiplication tables. She was always there for me and my brother, Richard. She was kind and always encouraging. She was a real role model of a devoted and caring mother.